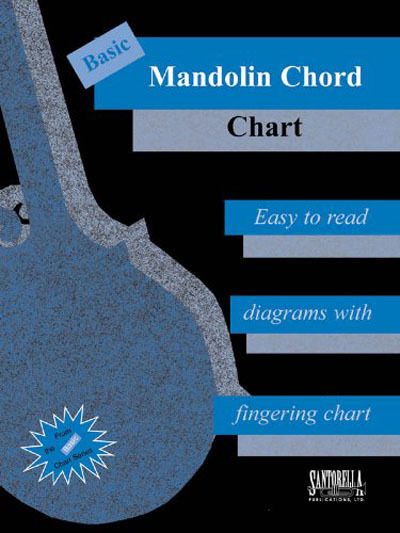 The Basic Mandolin Chord Chart has concise, easy-to-read chord information presented in a clear easy-to-understand format. Made of heavy laminated, durable cover stock and when folded open, displays all your basic chords at-a-glance. Perfect for the beginner, but by showing several different inversions, can be very helpful to mandolin players at any level.